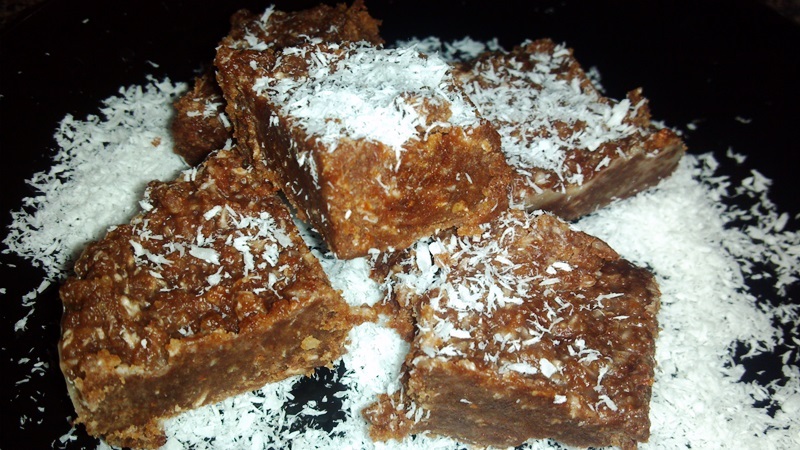 This recipe can be made with any kind of raw nut butter, either store bought or homemade. If you want more info on how to make your own raw nut butter, see my blog on how to do so! Other than that…let us begin! Keep the stove on low heat, mixing the ingredients as they heat up and melt together in the double boiler. 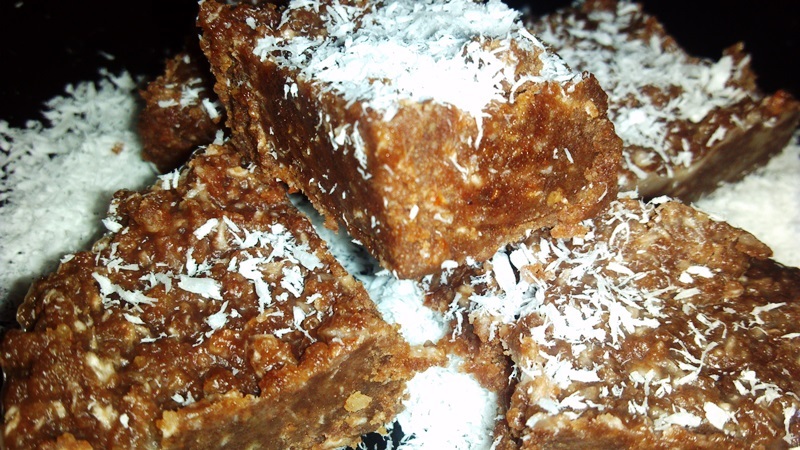 The nut butter will soften, the coconut butter, oil and cacao will melt and the honey will mix in together. Keep stirring until the mixture is thick, and blended together smooth and creamy. Be careful not to heat up too much, as the oil will begin to separate. Very important to watch your heat on the boiler! All we are doing is heating it up, below 115 F, as we are keeping this RAW! Once everything is mixed together, remove the pot and put in a container, patting the mixture down to level it out. Put in the refrigerator or freezer for couple hours, then take it out serve! 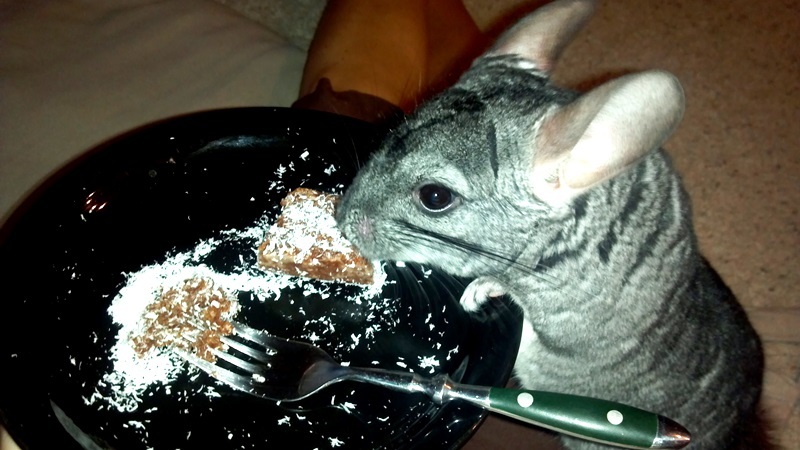 In fact, it was such a hit in my house, that even my chinchilla Shfluff couldn’t stop eating it! 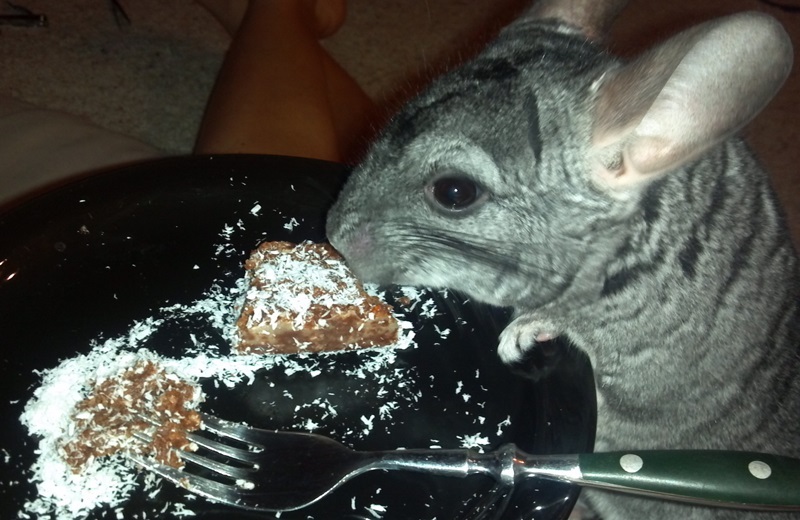 I don’t know how good it is for him, so I had to kind of control his eating, but he definitely loved it! I think this one is his favorite!